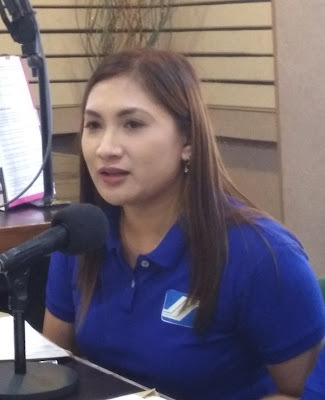 LEGAZPI CITY (April 4) - The Social Security System (SSS) here announced Tuesday, that their office started receiving applications for the new Loan Restructuring Program (LRP). The program with penalty condonation will be available from April 2 to October 1. 2018. According to SSS-Legazpi Information Officer Jeannette T. Mapa in an interview with DZGB News, the re-implementation of the loan restructuring program will cater those borrowers who were unable to avail the LRP offered in April 2016 to April 2017. Member-borrowers who have past due loans like Salary, Calamity, Emergency Loans, Education Loan (old), Study Now Pay Later Plan, Voc-Tech, Y2K, and Investments Incentive Loans will have a chance to pay without the penalty. Borrower can opt to pay the loan in full or by installment depending on their capability to pay, Mapa added. The interest and penalties of the outstanding loan will stop and no longer incur on the condition that the borrower should pay diligently on the agreed schedule of amount according to the restructured loan program, otherwise the interest and penalty will again continue. SSS members who will soon retire, but with outstanding loan should avail this loan condonation program so that it will not be deducted from the SSS retirement benefit. Borrowers can’t do away with the loan payment because it will be deducted from their final benefit such as total permanent disability, retirement, and death. Mapa said that borrowers who have approved LRP in 2016 to 2017, members with final claim prior to the LRP availment period, and those who committed fraud against SSS are disqualified from the program. LRP applicants should bring with them a duly accomplished LRP Application form which can be downloaded from SSS website (www.sss.gov.ph) and two valid identification cards.